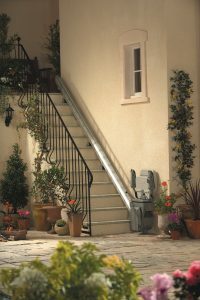 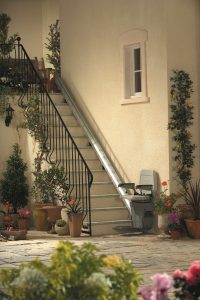 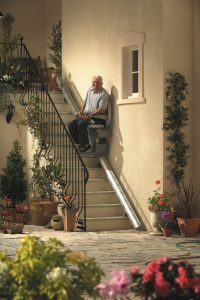 Comfortable, Safe, Reliable – External stairs will never be an issue ever again! 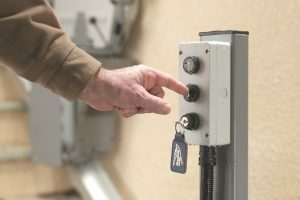 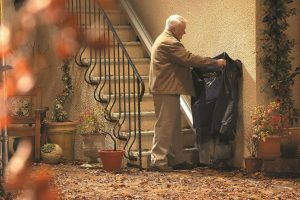 Weather Resistant – Dust? 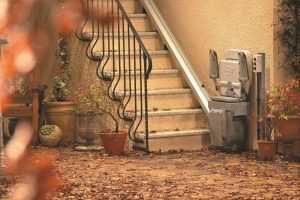 Heavy rain? 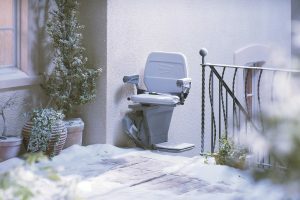 Salty sea air? 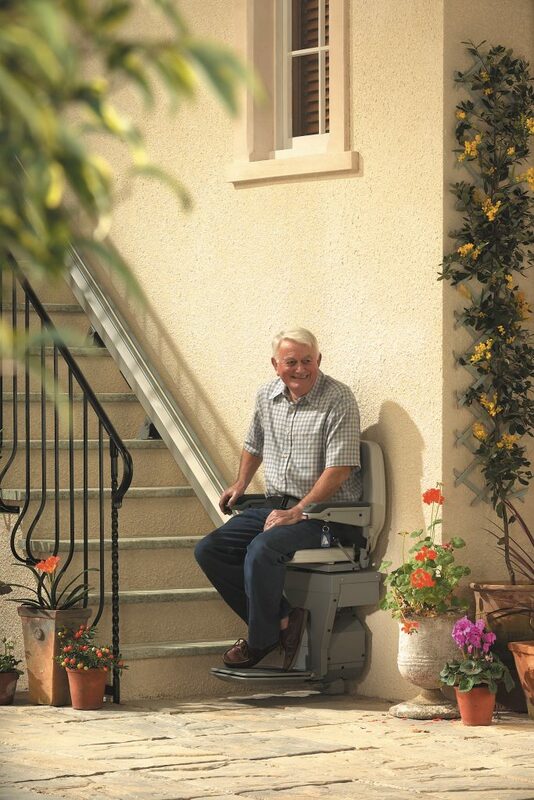 Not a problem for this chairlift. 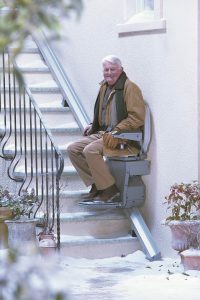 It even works in the extreme cold. 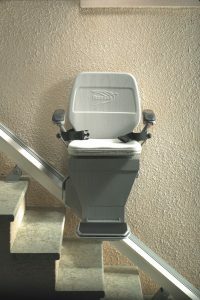 Great for Groceries – With a seat belt for you or a cargo strap for sending groceries upstairs with the remote control. 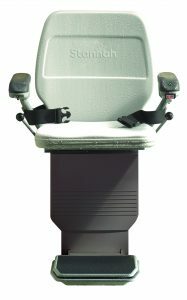 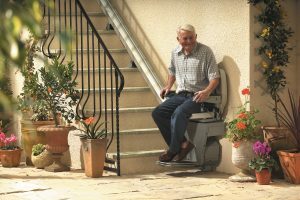 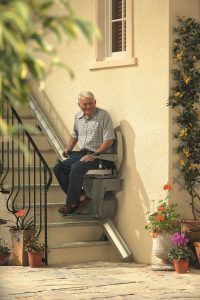 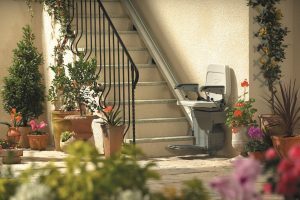 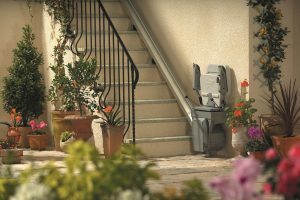 Out of the Way – This stairlift folds away, you can lock the controls to prevent unauthorized use and it comes with a protective cover.